Holiday lawyers and personal injury specialists Simpson Millar LLP pursue claims for compensation against the UK’s largest tour operators on a 'No Win No Fee' basis! If you have been ill at a hotel in Makadi Bay, Egypt, through no fault of your own we can help you make a claim against your holiday company. Food poisoning is preventable – make a claim! Ill - No nonsense advice on how to claim compensation. Sited along the Red Sea on pure white beaches and translucent waters this resort is a popular destination for European tourists wanting to mix the beautiful natural desert and mountainous landscape with the historical features of the monasteries of Saint Paul's and Saint Anthony's and illuminating nightlife. What can you do if things go wrong? Makadi Bay – Illness Bug Strikes Holidaymakers in Egypt? 2012 Simpson Millar’s travel lawyers have been instructed by holidaymakers struck down with uncontrollable diarrhoea, painful stomach cramps, fever and headaches, following holidays at the Sunrise Royal Makadi Bay in Makadi Bay, Egypt. Holidaymakers are advised to contact their doctor immediately upon their return home as several guests have reported major hygiene concerns. UK holiday companies such as Jet2Holidays – First Choice – Thomas Cook - Cosmos amongst others often receive complaints from holidaymakers who suffer sickness due to contaminated food caused by Shigella, Campylobacter, Salmonella food poisoning etc. However, the majority of these complaints are dismissed on the basis that the complaining holidaymaker cannot prove the exact source or cause of their infection due to limited legal or medical knowledge. Simpson Millar’s specialist claims team have access to gastroenterologists, microbiologists and experts in Egyptian food safety standards enabling us to successfully claim compensation from tour operators. Salmonella Fact: Salmonella food poisoning which accounts for a very high number of illness claims each year can easily be avoided. Cooking food above 67 degrees Celsius for the correct amount of time kills bacteria. If you have been exposed to illness because of food poisoning from E. Coli, Shigella, Salmonella etc. in Makadi Bay Egypt, and seek compensation for your holiday illness, contact Simpson Millar’s Compensation Claim experts immediately for a free initial review of your case. Our team of friendly and knowledgeable travel lawyers handle hundreds of personal injury claims every year against holiday companies pursuant to the Package Travel Regulations 1992 and Sales of Goods and Services Act 1982. 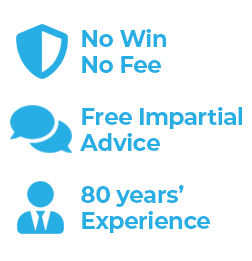 We can claim the compensation you deserve and are happy to discuss representing you. Contact our travel lawyers on 0808 145 1353 or complete the online claim form and we will consider your holiday complaint against Red Sea Holidays, Thomas Cook, Jet2Holidays and Thomson etc.